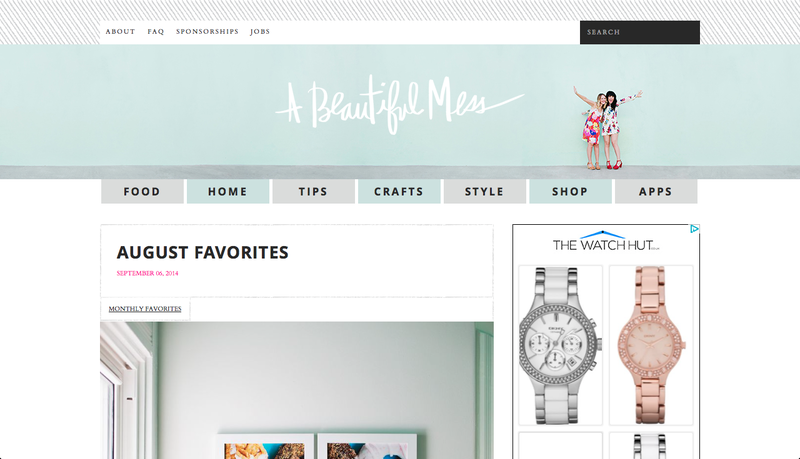 ATIMAGAZINE | BLOG: My favourite blogs and bloggers! My favourite blogs and bloggers! So today I wanted to share with you some of my favourite blogs and bloggers. As a blogger I think it's important to maintain interactive throughout the community and support other people, who do what you do. As a blogger myself, I try my best to interact and read other peoples blogs, enjoy their content, growing, learning and gaining inspiration from other peoples creativity! 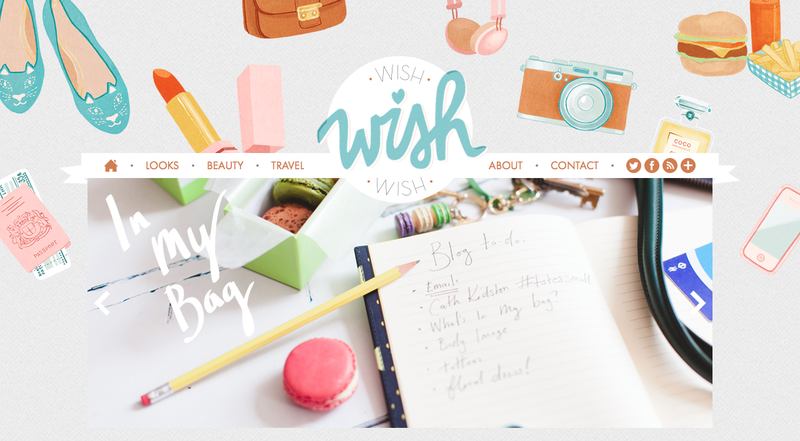 I have been reading Carrie's blog 'wishwishwish' for a while now and I have been very inspired ever since I stumbled across this, from the images, through to the content and the design I think it is just beautiful! I think I find this blog interesting due to the fact that Carrie like myself is a Londoner, there are many London based ideas in her blog, and as I love to explore and read about London as well as other parts of the world... I think this the main thing that drew me to her blog. As a designer, recently I have also been looking at inspiration for re-designing my blog. I like the design of mine at the moment, however I do want it to be more interactive and integrated similar to a lot of the blogs I have included in todays post. I hope this will enable my readers to interact more and I can grow and evolve my audience. 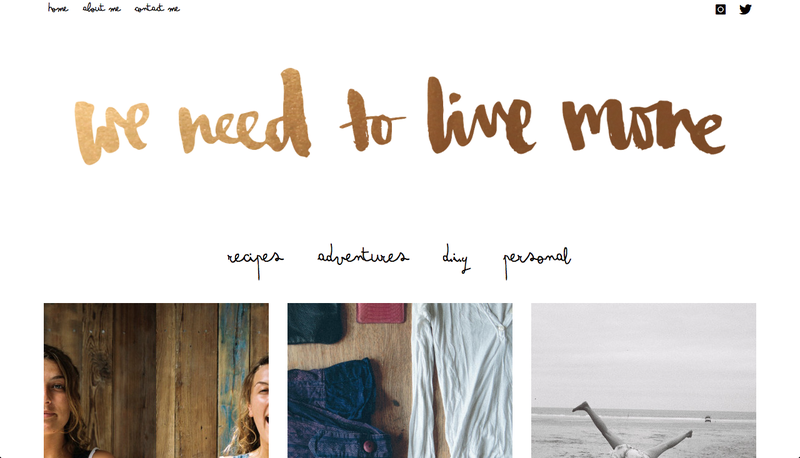 We need to live more is a blog belongs to Ella Gracedenton and is relatively new. However I have been following Ella on instagram for a while now and have always loved her content on there! I knew that in loving Ella's Instagram, I would love her blog as I was hoping it would be of a similar creative nature. I particularly love the way she writes her blogs, as well as also loving her photography and passion for travelling. I also love the name of her blog and feel this is great way to be reminded that life is for the living! I have just recently purchased the book 'A Beautiful Mess' for tips on how to use Instagram and I am currently really enjoying this. I love how this blog enables you to learn and grow as a creative individual, and that is the reason it has been included in this post. I think if you are interested in blogging, have started, or have been doing it for a while you could definitely learn something from this blog. The last blog and blogger in today's post is Niomi Smart. Niomi's blog has been one that I have read for a while now, however since she documented her holiday to Santorini, I have been so inspired. These posts in particular have inspired and given me numerous idea's I wish to use in future blogs.